Hiking and rambling fun, we really enjoy mountain walks. There's so much to explore along the way, and stops at Alpine huts are a treat, to rest and tuck into delicious Tyrolean fare "speck", homemade cheese with local bread. One of the most impressive and relaxing activities on offer in South Tyrol is to simply choose from among many outstanding opportunities for hiking, ranging from simple trails to more challenging mountain paths and fixed rope routes. Nordic Walking offers the right amount of exercise, since it combines the three important factors of fitness, fun and nature. 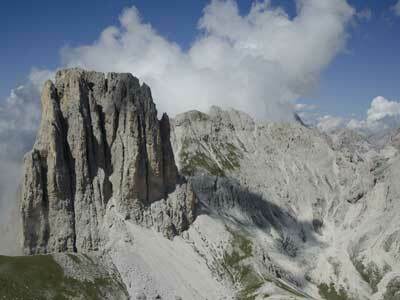 Some of the numerous paths in South Tyrol have become popular meeting points for Nordic Walking enthusiasts. Cycling fun, it is a joy to set off on two wheels, pedalling energetically among the orchards, vineyards and through picturesque villages. Forest trails and pastoral mountain paths provide ideal attractions for the bicycling enthusiast. Mountain biking from gently ascending paths leading down to valley. 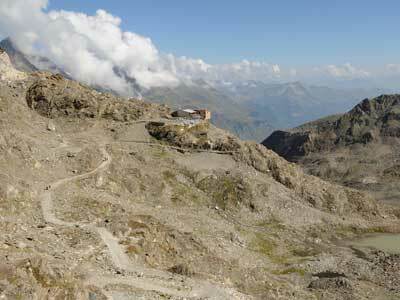 Passo Stelvio Cycling Tour: Road free for the bicycle! Canyoning, Rafting, Paragliding. Water fun, swimming in natural lakes amid unspoilt nature. South Tyrol's bathing lakes are favourite destinations, especially on hot days in summer. Golf enthusiasts will find many splendid golf courses in South Tyrol. Golf courses in South Tyrol. Canoe Slalom International at the river Passirio in Merano. 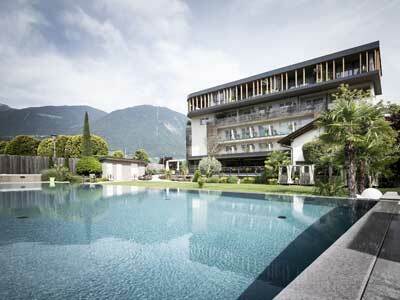 Merano's Maia Hippodrome is one of the most beautiful and largest horseracing facilities in Europe. With the Renon cable car on the Renon plateau. Riding fun, what better way to enjoy nature and the spectacular mountain scenery than on the back of a "blond", i.e. a Haflinger horse, South Tyrol's very own world-famous breed? Snow fun, especially when nature has been bounteous with snow in the Dolomites and in the realm of King Ortler. 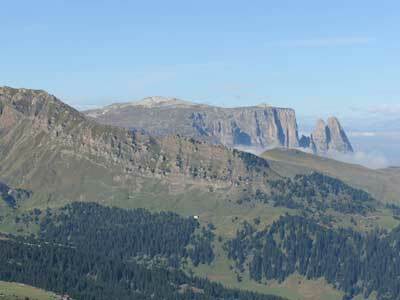 Sella Ronda, the skitour of the four Dolomite Passes around the Sella massif, one of the most spectacular of the world.